312 E. Cook St. Bldg. E.
Santa Barbara Superior Court takes pride in offering a benefits program that provides flexibility for the diverse and changing needs of our employees. The court has worked diligently to provide its employees with an array of insurance options consistent with the quality and accessibility they have come to expect at the lowest possible insurance premiums. The Superior Court provides a comprehensive package of employee benefits. Our programs include medical and dental insurance, health care and dependent care flexible spending accounts, term life, long term disability and accident insurance and other employee benefits. If you (and/or your dependents) have Medicare or will become eligible for Medicare in the next 12 months, a Federal law gives you more choices about your prescription drug coverage. See information about your prescription drug coverage and Medicare. 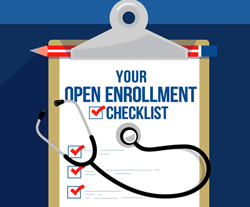 Our annual Open Enrollment period for the 2019 Benefit Plan Year will be from 10/1/2018 to 10/31/2018 . The 2019 Active Employee Benefit Plan Document provides a general overview of all the programs available to you. Teladoc - You can talk to a doctor via phone or by online video anytime, anywhere by using Teladoc. A convenient and affordable option that you may use for common illnesses.